The history knows that China and Japan have been the largest holder of US Treasury papers but the rules and risk of games have changed the holding patterns. The key thing to be noticed is who new buyers are and what the global community thinks going ahead in the long term about the US treasuries. Many times small sparks show the ugly part of the larger fire behaving like carnivorous, waiting to swallow an economy. The current scenario of the US economy and the long-term outlook seems to be a threat provides the way things are going on. Trade war, drop in govt. corporate tax revenue and rising deficit create an immense problem for the US economy. If by reducing taxes and creating trade barriers American Job creation should have been increased then every economy should have done the same. Tax cuts do not spook investments but only shareholders wealth. Japan has been consistently reducing its holding whereas China had some upward hunger for the same and later on came down too. The 3rd position of US treasury holding is being held by those countries where Corporate America prefers to register its overseas cash holding. Ireland. Yes, you are correct to hear. The below list names the countries other than China and Japan who are holding the US treasury. Ireland, in the third position behind China and Japan. It’s where Corporate American likes to register its “overseas cash.” It held $300 billion of Treasuries in April, about the size of its GDP. · Cayman Islands: $181 billion… down from $250 billion a year ago! · Debt held “internally” by US government entities rose by $181 billion to $5.73 trillion. · Debt that is publicly traded soared by $1.05 trillion to $15.34 trillion. Americans themselves are buying the US Treasury through institutional and individual investors, directly and indirectly, through bond funds, pension funds, and other ways. Coming up with the volume of purchase in monetary terms it stands to around $1.01 trillion. That’s quite a big chunk as interest rates start climbing. I told long back in one of my articles that US itself is freeing up its Dollar from the clutches and also risking risk and reward ratio leads to more higher interest rates demand from countries like China. Hence the best way to free up the treasury and make it’s a healthy product for investments is its own people shifting the assets from equity to debt. We should not forget that the yield from the current Treasury Yields from US now competitive enough with the average S&P 500 dividend yield. Low risk and better returns are the best part. The ongoing trade war and investment restriction and other aspects give an immense indication that economic will face jitters and so the corporate earnings and hence gains will not be similar to what S&P 500 provided in the last couple of years. 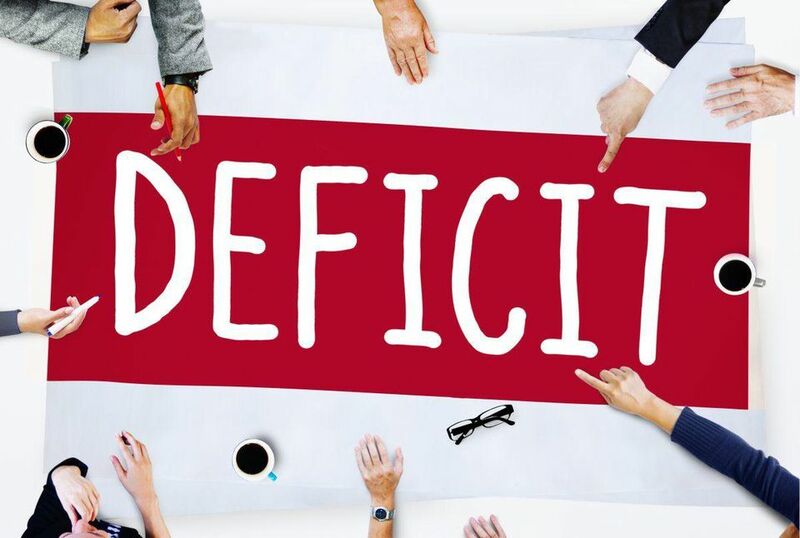 Further, the way the fiscal deficit is climbing up it's being found that total federal budget deficit surged to $530 billion in the first eight months of fiscal 2018, which began in October, surpassing last year's deficit over the same period by $97 billion. Now due to tax cut down corporate tax revenues, for example, were down $42 billion, about 25 percent till now. This number will amplify too few more percentage jumps. The story is yet to complete. Due to interest rate hike, the government spent a whopping $239 billion on interest payments alone, up 15 percent from the same period last year. This number will also increase in the coming days. 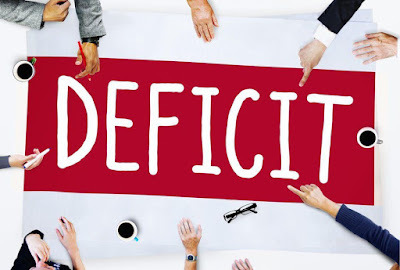 According to CBO it has been predicted that federal deficits will top $1 trillion in 2020. The CBO projects the Republican tax law passed last fall will add $1.84 trillion to the federal deficit over the next 10 years. Congressional Budget Office projects that the federal debt will continue to grow and that the debt-to-GDP ratio will be 94.5 percent in 2027. Interest payments on that debt will also continue to grow, nearly doubling from 1.6 percent of GDP in 2018 to 3.1 percent in 2028. In dollars, that means net interest payments will increase from $316 billion in 2018 to $915 billion in 2028. Rising debt would spook problems on the Treasury segment where higher interest rates and risk to investments will be significant. Is that reason why China and Japan are dumping and they are getting out of this holding? Dollar and Yen war is already in place but the rising debt is a threat for the US government in parallel to falling in income from corporate tax revenue. According to the certain projections, United States' gross domestic product will reach 78 percent, according to the CBO, the highest ratio since 1950. The debt is projected to grow to 96 percent of GDP by 2028 before eventually surpassing the historical high of 106 percent it reached in 1946. This is a very big impact on the economy in the long term. Tax cut down may not be able to pass on real benefit to the economy unless the door related trade is kept open. IS THIS US ECONOMIC CRACKS RECIPE ??? US cost competitiveness and its economic impact is now being ignored but will cost the economy huge in the long term. I will discuss on these lines later in the article. Economic growth can be achieved in many ways, either through innovation and framing policies or through just copying the growth of other and building the same at home. China does the same through copying the strategies and growth formula and building the same within his own economy. This is the very reason why US is now against china. The copy-pasted economic growth has currently rattled the global economy with trade tariffs and other things. China economy will face more slowdown which is hard to be measured currently. US coming up in a hard way to prevent some Chinese companies from investing in U.S. technology firms. This is going to be another blow which is beyond the measurement of any economic theory. We all know that Silicon Valley created a huge growth for the US economy. Now the 2nd round of Technological growth has been easily achieved by China through its judicious access to the intellectual property rights of US. 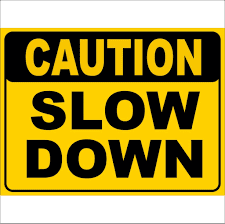 From the inside sources, it has been found that the Treasury Department is coming up with rules and regulation where a Chinese firms that have a 25% or more stake from a buying a U.S. company that is viewed by the Federal government as having “industrially significant technology.” This is major slowdown trigger for the Chinese economy. Well those who are thinking that this is illegal and against globalization well the US has an act already in place the International Emergency Economic Powers Act of 1977 gives the US President board authority to engage in acts to protect the citizens of the U.S. It was used after the Sept. 11, 2001, terrorist attacks. The trade was will take a new route and new shape which will only slow down many economies and their consumption pattern. On the other hand, Trump has reduced taxes and has lead big boon for the US corporate sector. 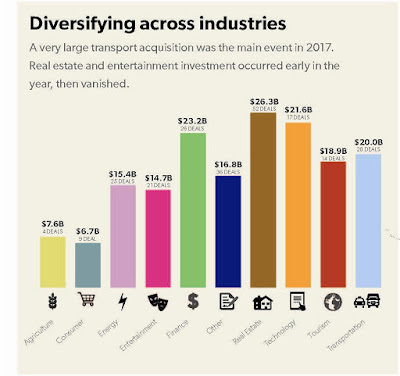 But the surprising part is that major investment drive in US is being carried by Tech Giants and not by the non IT segment of the industry. Companies like Alphabet and Amazon are spending billions to upgrade and create new dimensions in the economy swallowing up the SME segment. This investment climate is not good since it make me remember the Tech Bubble. A balanced investment approach which benefits the society is the most ideal economic growth. I find that trade war with EU would lead to a flight of investments into US by these trading countries so as to keep the US happy and comfortable. Trump is already started attracting overseas investments.For example, a new survey from the German Chambers of Commerce Abroad shows that half of the German companies currently in the United States plan to boost their investment, with 53 percent also planning to hire more staff. In the last two weeks, Innogy, E.ON and EnBW all announced new American projects. Flight of investments to US is about to begin and the biggest factor to be watched is that they how much these economies will balance the investments compared to relaxation of trade barriers. At the same time its big threat for US since if these countries subsidiaries decide to get out and shift their investments out of US since US is no longer a larger market for consumption compared to other countries. For example, Harley-Davidson who took the decision to shift some of its production out of US. These things will slow down the US economy also and a mixed reverse scenario would happen in the long term. The trade war will go beyond to corporate war where the impact will be long term and not short lived. If We make quick look towards the investment pattern by China within US and the after effect it can have due to the new guidelines one can measure the depth of the problem which US will face in macro front and also the fall of subsidiary profits by Chinese companies. China can divert its funding to other countries and hence it can have a short-term affect whereas US might have a long-term effect. The number of deals declines and drop in investments might be argued with this point that US has given a tax cut down to the corporate so that they can start investing but the point is who will buy from America if there is a trade war with importing countries. This is going to be really game to watch where how the economic balances are being executed by the US economy. Will US corporate will execute the investments which they have promised since the announcement and real investments are two different theories actually. 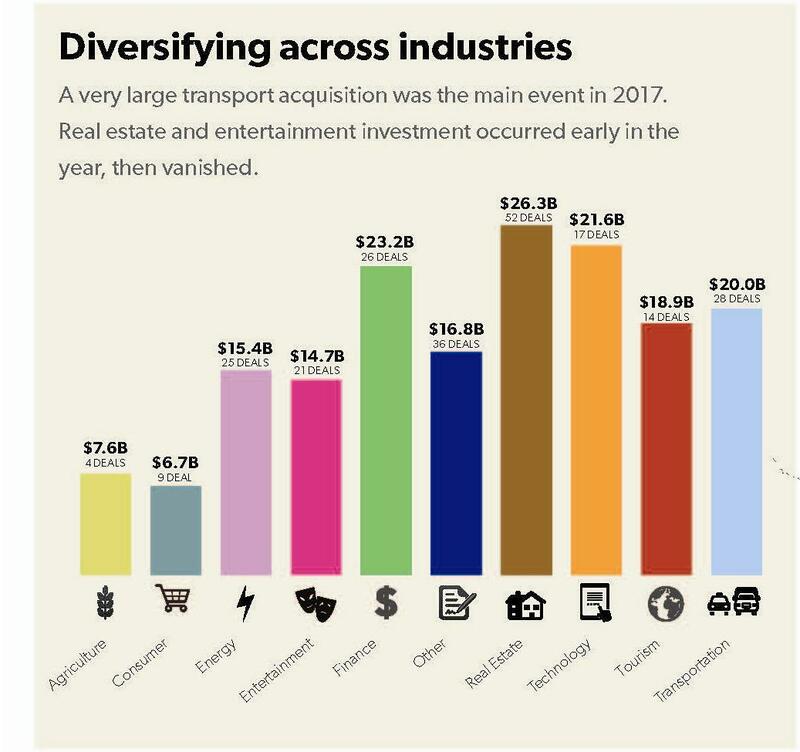 If we look at the investments across the industries executed by China over the last decade almost we find that finance and real estate are the two biggest segments which attracted a substantial amount of investments in to US. The problem may not be with technological IPR issues but with the US treasury holding and safeguarding the dollar from the clutches of China as a foreign reserve currency. The paradox is that US investments in China is much more than what China has. US shifted its production plant to acquire the rising class of consumption form the 2nd largest economy and also other Asian economies. Investments in rising interest rate scenario has to adjust with cost inflation and designing product cost structure based on the importing countries cost competitiveness . This is highly grey area which is not being taken into account by Trump. I will cover this in my 2nd part with broader examples where the Tyre will never meet the road. The way the global economic trade problems are growing it's better to have a world war 3 and just like World War 2 where many economies agreed for building the broken infrastructure, the history can be repeated. The German economy is going to face slowdown and also those economies where trade and tariffs have been amplified. Global inflation will spook up, investments will slow down and further GDP growth will be hampered. The story becomes more dangerous when the European economy is broken and China business policies are never user-friendly. one else after s such a long stint of being Chancellor. The current trade indication and rules for the German car market is an alarm for the EU, since European countries account for the highest dollar value worth of cars amounting to $405.4 billion which stands at 54.8% of the international car sales. Out of this Germany alone holds 21.35% share of the car sales. In US the German export comprises around 205 followed with spare parts another few percentages. Immigration has divided societies and creating repulsive government election mindset. The article 5 of NATO is the key to be protected which is under the Threat of Trump. Article 5 is an article which was activated during 9/11 which states that when any country is threatened then the defense of other countries would fight against that threat. Even in case of Syria and the Ukraine matter article 5 was activated. Now I hope who will get the most benefit if US breaks the NATO or reduces its funding. Trump is actually favoring Russia who is looking for fragmented Euro-zone as Putin wants to have the revenge of breaking his USSR during his times. The political revenge is more polite compared to personal revenge as the later destroys economies over the long term. The depth of Friendship of Trump and Putin will be tested in NATO conference to be held in July. Now if the defense goes for toss then EU will find fruits like Brexit. Don’t forget that US is focused towards increasing the budget and meeting the target of other nations of NATO towards defense. Since if defense spending goes up US arms and ammunition deals would go up. There has been a revision in the U.S. weapons export policy also and it has been done keeping the long-term growth derived from NATO. Well, Trade barriers and other things are just threat to get more buyers of defense equipment and investments into US economy. NATO is just growth model for the US economy now. The Trump Administration notified Congress of $82.2 billion in offers for new major arms sales in 2017. This was an increase from the last year of the Obama administration when offers totaled $76.5 billion. The top six recipients of U.S. arms sales notifications in 2017 were in order Saudi Arabia, Poland, Japan, Canada, Romania, and Bahrain. The Trump Administration favored major arms deals of missiles and bombs in 2017 over other categories of weapons. Saudi Arabia and U.A.E. received around $659 million in weapons for likely use in combat operations in Yemen. A total 25 countries were slated to receive major firearms sales in 2017, including Bahrain, Honduras, Ukraine, and Turkey. The top ten recipients of U.S. arms sales notifications in 2017 were, in order, Saudi Arabia, Poland, Japan, Canada, Romania, Bahrain, Australia, United Kingdom, United Arab Emirates, Greece, and Singapore (see Table 1 below). This was in part due to the fact that one major deal can have a major impact on a country’s rank and many countries do not engage in major deals in consecutive years. The above data reflects that US is looking ahead for increasing the defense spending by other countries since some of the countries may not repeat the same order demand. This is the key reason for NATO to be squeezed by Trump. US trade war and the way the G7 summit ended speaks enough for the upcoming problems for the EU. 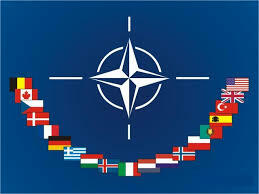 NATO is the next threat for the global economy. Mr. Trump currently himself is the WORLD TRADE CENTRE designing policies across the globe. Defense spending is under big question mark and US contributes around 22% of the NATO Allianz common funding which is spent on projects like military readiness, join exercise and initiatives to counter cyber warfare. It’s responsible for 70% of the total defense spending among alliances. Trump will be negotiating and would threaten to cut down expenses if trade balances are not reversed. This situation would be turning into a nightmare for the EU as, without much support of US, the recent immigration might turn out is a disaster. If US soldiers are removed from EU then Merkel and the whole of EU will get broken. Merkel is focusing on creating Bilateral and unilateral trade deals as she can see in the long distance that EU will be broken due to the wrong decision of getting immigration policy adopted and implanted by her. The bilateral and unilateral trade deals would protect even in case of a referendum where Brexit type of things happens in the long term. All it can be said she is trying to keep the EU intact despite whatever happens. Further, as EU and China are developing bilateral trades Trump is bound to react at the NATO summit. He will create policies to impact trade and tariffs across the EU unless they reduce their love towards China. Global GDP and investments are going to face more problems as every economy is on the verge of collapse due to macro and unstable government policies. We are all preparing for some collapse in the year 2019 and the recipe is being cooked now. 2018 H2 seems to be a tough time for the global economy. Slowdown seeds have been sown and the fruits are getting ready. Europe is completely into the doldrums. 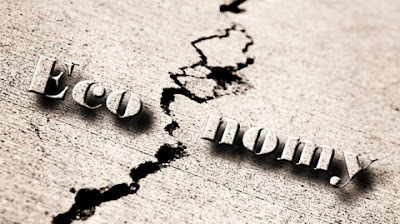 Brexit battle followed with Italy having a very inexperienced government followed with Germany struggling with its own government stability has just amplified the economic slowdown. Angela Merkel’s coalition partners – the Christian Social Union (CSU) is creating an immense problem for her stability. We have Donald Trump as topping over the ice of slowdown where his trade policies irrespective of what percentage of they contribute to his economy is already affecting productions of other countries. Germany is under very much under the nightmare of losing its most valuable market US. China is under immense slowdown and it is busy is saving the global and Asian economy form another major recession. Shadow banking ghost is being now slaughtered by the Chinese monetary and government therapist. Their economy is now under immense pressure externally as well as internally. Bond issuance cancellation by China has grown significantly, April-47 billion yuan and in March 47.4 Billion. The combined debt of China which includes borrowing via loans and bond issuance is 13.2 trillion Yuan which is US$2.1 trillion as of March 2018. Please don’t compare the debt with other economies since every economy has its own macro dynamics ruling the same. Investment in China has taken a massive blow and almost low to the 1990 levels. This means consumer segment will face slow down and manufacturing has already taken a setback. Banks are reluctant to fund and business loans have dried up. Cleaning the books of China was a good idea but Donald has turned that into a nightmare with its trade war and restriction of Chinese companies taking up stake and investments in the US. IPR has become a big threat and copy based economic growth of China now seems to be a difficult game. Chinese companies shave to pay 2.7 trillion yuan of bonds and in the offshore segment during 2nd half of FY-18 they have to pay another 3.3 trllion yuan of trust product sets which are about to mature in the second half of the calendar year 2018. The global currency will be under immense threat of volatility. The corporate debt to GDP of China is 167% which is significant threat currently after Donald trump trade war. Always remember when manufacturing happen flow of capital keeps moving but when goods start getting dumped at ones warehouse things becomes difficult. China is focusing on de-leveraging the economy and that will come at a huge cost for the economy. Chinese banks are also under pressure of holding around 4.1 trillion yuan of bonds and govt is chasing the banks to offload and reduce the exposure. Shadow banking is under elimination but it will come at a cost for the Asian economy since the slowdown in China will affect other major economies too. Brexit has created a threat for the other countries as the difference of opinion and unity of EU is broken which is a big threat for EU as a whole. Russia and U.S both are keen to exploit and find resources to turn things and rule within the EU economy. EU is broken and the pain is being heard very lightly currently as all focus is on the Donald Trumph trade war. Trade war and protection policies will spook inflation and also slow down investments which leads to cut down on consumption pattern on the global landscape. Commodity prices are already increasing and trade barriers would create massive volatility of the prices which will erode the profits. Zero interest rates days are over and whatever wage the US citizens got are on the way of depletion as higher borrowing cost eats up. Global interest rates are scaling up and fragile manufacturing and trade outlook leads consumers to be on the sidelines. The trust factor and no proper outlook of the different economies keep investors under immense pressure. Scaling up of interest rate spooks liquidation of risky assets and flight towards safer assets. 2018 end and beginning of 2019 would be massive slowdown phase keeping the global economic scenario in mind as developed currently. Asian bond market will need soon support as trillion of bonds are about to mature and repayment is tough game. The irony of bond issuance have been that bond buyers dont know what type of complex hybrid bonds have been issued. Well very soon the world will come to know once the default happens.